Bring archaeology to life for your students in grades 6-12 with MAG’s Archaeology Alive! classroom resources. 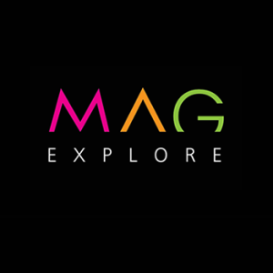 Access a variety of materials that can help you and your students explore the science of archaeology, learn about the origins of some of MAG’s ancient artifacts, and have a hands-on experience with some authentic artifacts. These resources have been developed and tested in Rochester area schools by MAG Academic Programs staff and archaeologist Dr. Alexander Smith, as part of a program that was recognized by the Archaeological Institute of America. 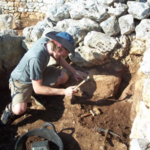 A 2015 Ph.D. graduate from Brown University’s Joukowsky Institute for Archaeology and the Ancient World, Dr. Alexander Smith is a Rochester native. 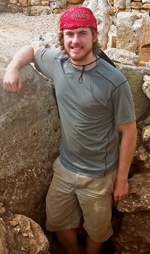 Fieldwork has taken him to locations including Rome, Sardinia, Jordan, Guatemala, and Montserrat, but he specializes in Mediterranean archaeology and the computerized techniques of surveying and mapping archaeological sites. His work at Brown University also included extensive classroom outreach to Providence, RI area schools. This slideshow with accompanying informative script, initially developed by Dr. Alexander Smith, introduces the tools, terminology, and techniques used by modern archaeologists. See images of actual fieldwork and finds, and get answers to crucial questions such as, “How do archaeologists know where to dig?” “Why is sifting important?” “What are the five ancient-world metals?” and “Do archaeologists study dinosaurs?” Feel free to adapt the accompanying script information for your students’ needs. Stratigraphy, or “layers in the dirt,” forms the basis for archaeological exploration, excavation, and dating of finds. Watch as archaeologist Dr. Alexander Smith reenacts the principles of stratigraphy by conducting a simulated excavation using simple blankets and a plastic bin. This video is a great addition to the introductory slideshow described above. Download a student notes sheet to accompany the video. For more advanced students, introduce a mathematical-logic element to your archaeological explorations by trying your hand at creating a Harris Matrix. This is a tool resembling a flow chart, grounded in the three basic laws of archaeological stratigraphy, and used by archaeologists to diagram and record the layers of soil and human occupation at an excavation site. This is a great follow-on activity for Digging Down: A Virtual Archaeological Excavation, described above. Download the Harris Matrix activity sheet. 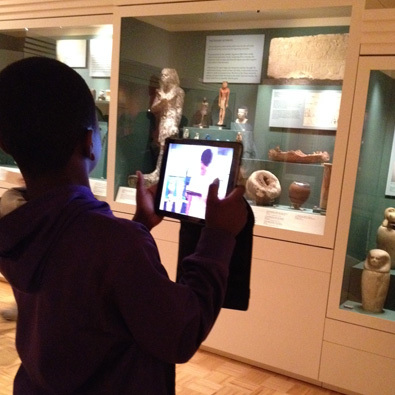 The Artifacts Kit, a selection of small, authentic objects from MAG’s study collection, offers your students a hands-on encounter with the ancient world, and enhances the learning connections made through the introductory slideshow and the virtual excavation described above. 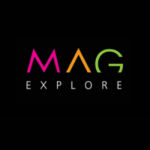 This culminating activity, directed by a MAG educator, is available only as a supplement to a scheduled class field trip to MAG; our popular tour of ancient cultures, Passport to the Past, is a great fit. Contact MAG Educator Sydney Greaves to discuss scheduling The Artifacts Kit experience for your class. 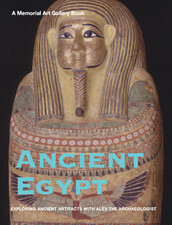 Supplement any study of ancient Egyptian or Greek culture with MAG’s own interactive eBooks for iPad™, available free from the iTunes™ Store. 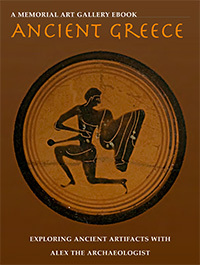 Both titles feature archaeologist Dr. Alexander Smith, a variety of interactive features, and connections to MAG artworks. Can be used stand-alone or as supporting materials for use before or after a MAG visit, for students in grades 6–12.